Don't forget I saw you first !!! The memes depends on our imaginations!!! Sure they do, but imagination like so many other Things can be trained. 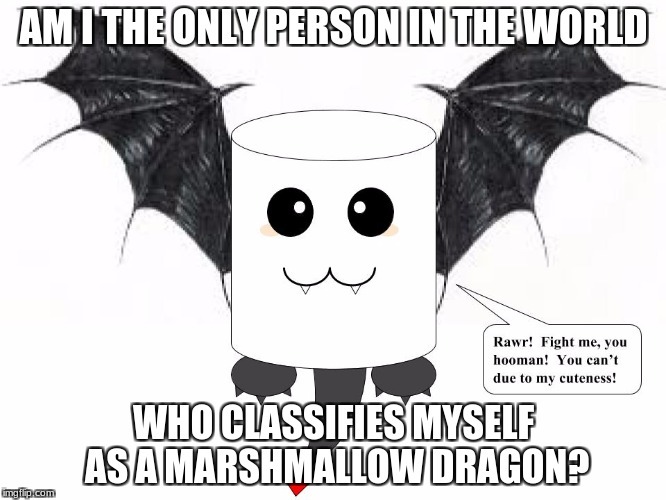 AM I THE ONLY PERSON IN THE WORLD; WHO CLASSIFIES MYSELF AS A MARSHMALLOW DRAGON?